Within 2 days of launch over 20,000 Brits have signed up to use Pingit, the mobile money transfer service at the heart of the Barclays’ emerging channel strategy. We are The Levels have long been waiting for a Google Wallet type service to be launched here in the UK and we were horribly over excited when rumours started to emerge about what Barclays were up to late last year. Pingit is a small but significant step in the right direction allowing you to transfer money to others in the UK via your mobile phone. 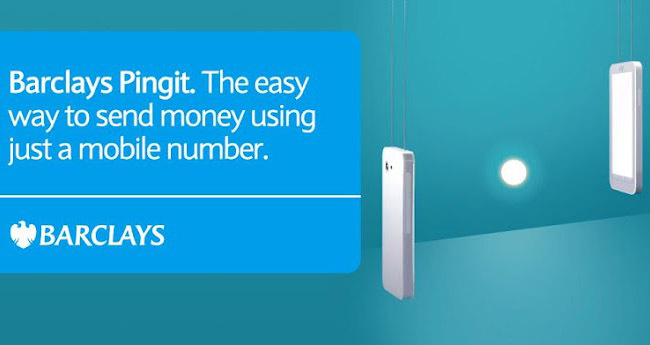 If you decide to use the Pingit service, your recipient will receive a text message when you send the cash. All they need to do is to register with Pingit, either by downloading the app or register online at www.barclays.co.uk/pingit. All rather slick hey? There are some downsides -Barclays accept no responsibility if you Ping the wrong person (so make sure you’ve got the right mobile number!) and they also retain the right to hold your mobile number and that of your recipient for marketing purposes. If you want to opt out of the marketing messages you have to, quite literally, send them a letter. We’re pretty sure that the novelty of the service will wear off and within a few months it’ll be seen as just another way to pay your friends for the half of the bar bill you “forgot” on Friday night. But, we at The Levels see this as an important step by a British bank to get us, the great unwashed in the UK, used to mobile money transactions and the concept of micro-payments via mobile. Banks, retailers and financial institutions have a vested interest here, a cashless payment is far cheaper for them to handle so of course Barclays et al want us to Ping for our coffee in the morning and for our taxi on the way home. Horribly convenient for us and more profitable for them. We all win. The MD of PayPal UK, Carl Scheible agrees. If you fancy debating the pros and cons of a cash-less society with us, we’re very much up for the debate. However at this point we’d like to emphasise the better access to financial services that mobile micropayments present to all and above all the simple convenience of the whole process of mobile micro payments. Well done Barclays for taking this baby step we look forward to see what happens next.